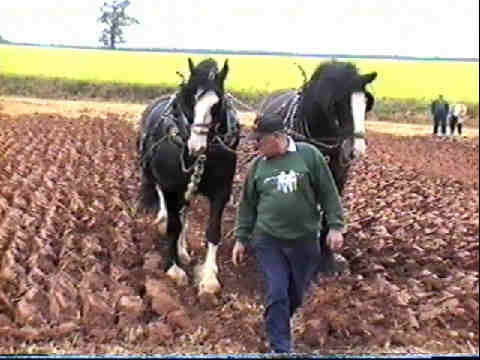 Two views of a friend, Terry Sweet, ploughing with a pair of his Shires at Bridgwater Ploughing Match, which still has classes for horse ploughing. 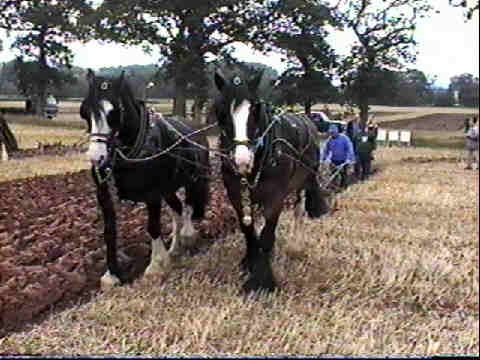 Terry has let us have a go at ploughing, the horses may look as if they are just ambling along but in fact they move at a fair speed and, until you get used to it, there's a danger of you being left behind ! The great thing about these events is the camaraderie between the horsemen, the constant stream of one liners as they pass, add that to sight of the horses working and it makes for a very enjoyable day. 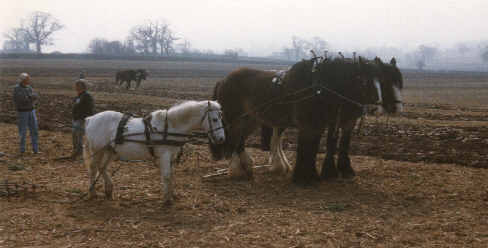 The bottom photo was taken at a WCHHS working day, when little Oscar showed that he could pull his little set of drags as well as the big boys.